There’s two ways you can go about reviewing Marvel‘s Avengers: Age of Ultron. Your first choice is to step upon the pedestal that is pure objectivity. Or so you think. Due to human nature, the best you can really do is be around 95 percent objective, after years of practice, and act like the other five percent didn’t happen. You could objectively say that Daredevil (2003) had some good ideas, but lacked proper execution. But we all know that it just kind of sucked and wasted Michael Clarke Duncan’s great portrayal of Wilson Fisk before D’Onofrio ever took a razor to his scalp. Your other choice is to let your fandom show, because this is a movie we’ve all been waiting on for 4 years now, but still be honest about what you see. Given that this is a website geared towards nerds, written by nerds, you can pretty much guess what direction this is going in. Avengers: Age of Ultron was everything I expected. It may not have been a face-melting display of all things awesome, but it had enough to drop jaws on a number of occasions. The most enjoyable things of The Avengers were present in its sequel: the ensemble, the charming villain, the combat and the hilarity. There were also some new tricks thrown in to keep things interesting. Age of Ultron sees the return of our favorite Marvel heroes as they try and take care of loose ends from the events of the first film. After being shown just how vulnerable Earth truly is to creatures beyond and unknown, Tony Stark becomes obsessed with the notion that it needs more protection. So he takes it upon himself to find the answer. That answer being Ultron, a sentient operating system that would ideally be implanted into Stark Industries robots across the planet. But, of course, things go wrong. The film also introduces Wanda and Pietro Maximoff, also known as Quicksilver and Scarlet Witch in the X-Men universe, but because of Fox owning the rights to X-Men, their origin had to be played with a bit. In Age of Ultron, they’re enhanced humans that were experimented on to support their warring country– eerily similar to Steve Rogers’ origin story. Although it was one of the things I enjoyed the most about the first film, Age of Ultron didn’t have to spend much time introducing its players and explaining their motivations. The relationships between our characters were already established and were there to be played with. Hints of conflict arose between Steve Rogers and Tony Stark, serving as a preview of what may come in Captain America: Civil War (2016). 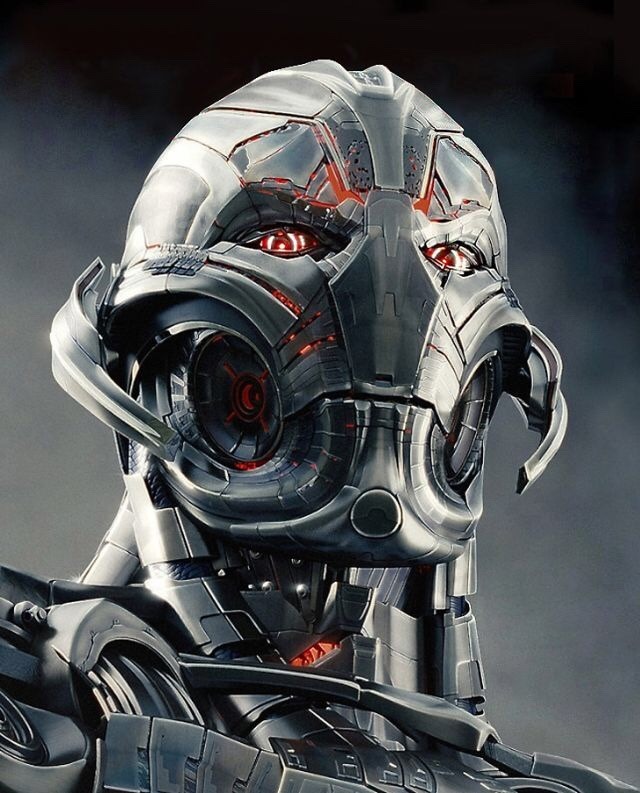 As a villain, Ultron was wonderful and worthy. For a robot, he gave a more human performance than a lot of Marvel‘s past villains. His ability to essentially be everywhere at once was used to it’s fullest as he presented a constantly growing and seemingly overwhelming threat. The best villains are the ones that aren’t blatantly trying to do wrong, but look to achieve their goals through questionable means. He also played a large role in the comedic tone of the film that started from the very first line delivered by an Avenger and continued throughout. In hindsight, Marvel may have been better off keeping the Vision off of the poster and letting him be a surprise. The film actually moved in a way that made it seem like this was the original plan. But the most satisfying thing about Age of Ultron, and the most outstanding factor that it has over the first film, is how it added depth to characters that haven’t had the privilege of their own solo film. We’re shown things about Hawkeye’s life that many couldn’t have seen coming, as well as the dark, troubled past of Natasha Romanoff that’s been vaguely hinted at for years now. We even see a budding romance that’s sure to catch many off guard. The global presence in Age of Ultron was also refreshing. The Avengers are no longer just the de facto representatives of the United States of America. They now defend the entire world and work to maintain peace throughout. Our heroes spend time in North America, Korea and fictional countries in both Europe and Africa. And for my fellow Black Panther fans, yes, they mentioned Wakanda and vibranium. By name. *spoiler* And we also meet Ulysees Klaw, a major enemy of the Black Panther. He even gets his arm cut off by Ultron, leaving room for his new bionic appendage. Now it’s time to head on to Phase 3. Avengers: Age of Ultron is amusing, has a handful of great combat sequences, some that are just good, and leaves us feeling like we know the characters on a deeper level, both new and old. It may not be as world-changing as the original, but it’s still going to be remembered. The biggest hurdle for movies that reach the levels of success that The Avengers did is repeating something close to it in a sequel. Age of Ultron may have missed the mark, but it wasn’t by much. How will Ant-Man intersect with the MCU now that they’ve abandoned his role with Ultron?